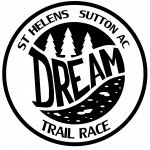 St. Helens Sutton A.C. are proud to announce the 2018 running of the Dream Trail Races on Sunday 2nd September 2018. 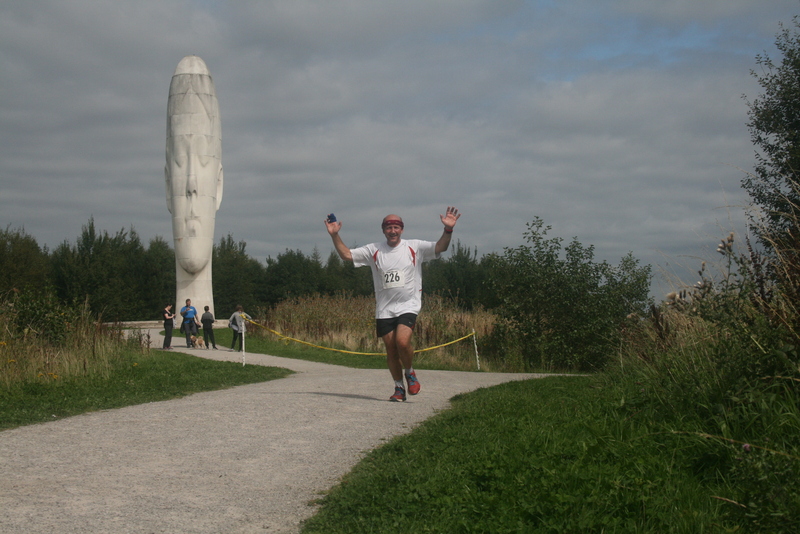 As always the Dream Trail Races bring bring runners of all abilities together to take on both the scenic and yet challenging trails of Sutton Manor Park, taking in the iconic Dream Statue. 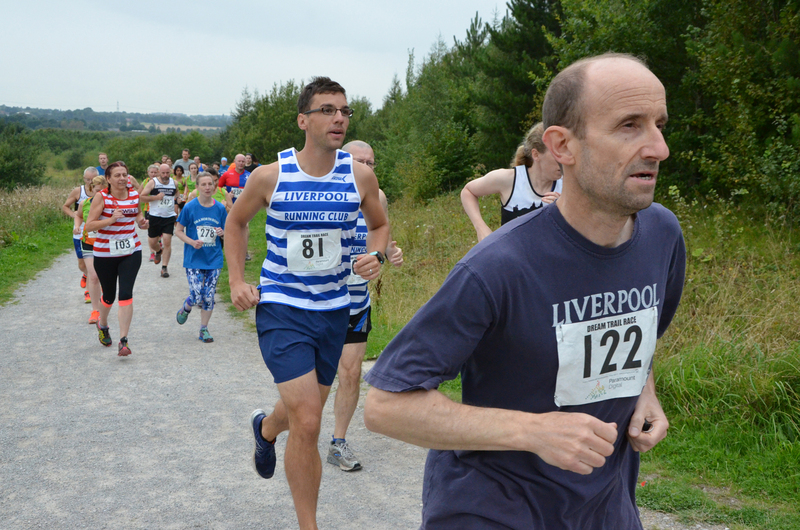 Runner’s have the choice of taking on the gentler 5k route or doubling up and taking on the 10k 2 lapped trail challenge. All competitors will receive a beautifully crafted medal a bottle of water and snack on completion of the runs. So what are you waiting for enter today! Trail events are great fun but they are a challenge, that’s what makes their completion such an achievement. The variety of terrain and altitude mean that a reasonable level of fitness is required. If you are participating in the 5km or 10km Dream Trail Race you need to consider what level of fitness you currently have and then create a training programme that gradually gets you to where you need to be. If you aren’t already a runner then we strongly advise you to check with your doctor before launching into a training schedule. As a guide, we would recommend that you should be able to run a mile in under 15 minutes to be able to complete and enjoy the event. Daunting as this may seem today, you have plenty of time to get there so don’t be afraid to enter and look forward to getting fitter over the next few months. You’ll need to combine training sessions in the gym or street with a few hills sessions to acclimatise your body. To start off with, just try walking some of the hills around Dream or in your local area and see how fit you are. Gradually build this to a jog and eventually a run. You only need to do this once a week to soon notice an improvement. Your legs may get stiff at first but after a few weeks you will sail up and down without too many problems. Many people find that training with others is easier. New members are always welcome at St Helens Sutton Athletic Club and we have training groups to suit all ages and abilities. Why not come down on a Tuesday or Thursday at 6.15pm to Sutton Leisure Centre and get some advice from one of our qualified and friendly coaches? Please keep up to date with the latest event news by regularly visiting the web site, follow us on Twitter or Like us on Facebook. This event by its very nature is hazardous and contains certain inherent risks. The race is run over land to which the public has free access and over which the race organisers have no control and which is subject to normal hazards to be expected on such a trail, e.g. partially or fully exposed tree roots, overhanging branches, non participants, dogs etc. Participants are responsible for their own safety. It is the participant's responsibility to ensure that they are physically capable to start an event of this distance and terrain. Participants should contact their own doctor if they are uncertain on this point. By agreeing to these conditions the participant accepts that they enter this event at their own risk and accept that the event organisers and their employees are not liable for any loss, damage claim, expense, injury or accidents which may arise as a consequence of the participants negligence in this event. In the unlikely event of a cancellation, organisers are not obliged to provide refunds. Designed By MC Digital | Owned By St Helens Sutton A.C.